Bob and Melinda (Cole) Wareham of Whiting were married Aug. 20, 1966, at St. Charles Catholic Church in Troy. They honeymooned in Branson, Mo. 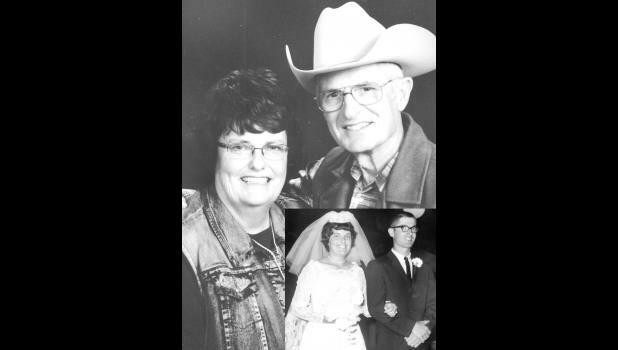 Their children will host a 50th anniversary celebration with a reception from 2 p.m. to 4 p.m. on Sunday, Aug. 28, at Penny’s coffeehouse, 409 New York Ave., on the Square in Holton. Their family includes their children, Rob and Heldi Wareham of Whiting, Doug and Jannelle Wareham of Holton, Kayla and Mike Collins of Highland and Julie and Jeremy Porter of Whiting; 11 grandchildren, Luke, Brantley, Jacob, Marley, Natalie, Emma, Chase, Gus, Cable, Ruby and Jackson; and three great-granddaughters, Piper, Sofia and Ryder. Cards of congratulations can reach them at 18099 278th Rd., Whiting, KS 66552.